for warehouse and offices vary. Please view location details on the individual unit page. doors with grade loading and installed alarm monitoring systems. services amenities to operate you business. Centre and across the street from Yellowquil College at Madison St. and St.
Five building multi-tenant (16 units) complex with over 40,000 sq. ft. of space. Plenty of street parking as well as customer parking lots. Located at the corner of Madison Street and St. Matthews. 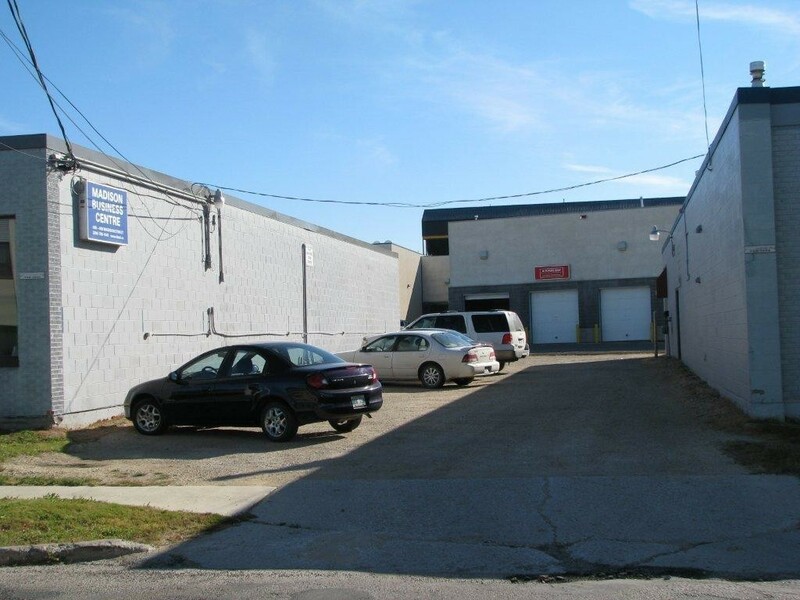 Centrally located in prime St. James area between Route 90 and St. James Street and between Ellice and Ness, near Polo Park. Adjacent to new $20 Mil commercial development of St. James Station, including Future Shop, Michaels Crafts, Best Buy etc. Five minutes to the airport.